Have you been considering an oil to gas conversion for your Rochester, NY home? Then you should know that John Betlem Heating & Cooling is a qualified oil to gas conversion contractor. We have been in the home comfort business since 1941, and our team of expert, highly trained technicians has the skills and expertise required for your oil to gas conversion. At John Betlem, we’re dedicated to helping our customers have the best home comfort products – and to helping them enjoy greater energy efficiency and savings on their utility bills. As your oil to gas conversion contractor, we’ll help the process go as smoothly as possible, so that you’ll be able to experience greater comfort and energy savings as soon as possible. Environmentally speaking, natural gas is cleaner than heating oil, so it’s better for the environment. And, natural gas often is less expensive than heating oil, so you’ll save money on your utility bills. Additionally, you won’t have to worry about running out of fuel or scheduling deliveries, because natural gas is piped directly into your home. 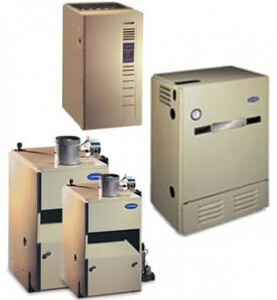 Natural gas can help your furnace run more quietly and require less maintenance as well. What’s more, natural gas provides better energy efficiency, using anywhere between 89 and 98 percent of the fuel burned to directly heat your home. That means you’ll waste much less fuel, and there will be more money left in your wallet when the energy bill comes due! Let John Betlem help you with the oil to gas conversion of your Rochester, NY home. Improving the heating of your Rochester, NY home is as easy as making a call to John Betlem Heating & Cooling, Inc. We can help you get the oil to gas conversion you need so that you and your family can experience the best in home comfort. Simply give us a call at 585.271.8888 and we will be more than happy to help you with any heating service need you may have.